Maruti Swift or Nissan Micra? Which one you prefer? 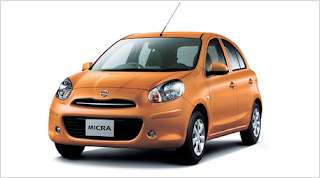 Nissan Motor India Pvt Ltd (NMIPL) started nationwide sales of the newly-launched compact car Micra on July 15, 2010 and has sold over 928 units! India's own Maruti Swift with its cool, stylish look and fuel efficiency has been in the market for a while.There are many reviews on both the cars, click here to have a look. If you own a Swift or Micra, feel free to provide your feedback here. Let us compare the good and bad features of both the cars, and let new buyers decide which one to go for! There are two things involved in this- The product and the manufacturer. 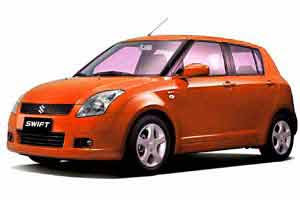 Driver’s car: Swift is a driver’s car and has a very good ride and handling. Leg Room, rear seat comfort: Micra has a good leg space in comparison to Swift. Swift rear seats are cramped. Boot space: Both have the almost same space to accommodate luggage. Looks: Swift looks dated whereas Micra feels fresh. I think this thing majorly matters on your personal choice. (You can wait for the new Swift with some changes in looks). Features: Some new features like Push start button, key less entry (in top model of Micra) drives you crazy. Performance: In this regard Swift have already been a winner and Micra have yet to start its journey. Power: Swift delivers 85 ps in comparison to Micra 76 ps. But Micra weights less so this short in power is compensating in Power to weight ratio. Presence in India: Nissan is equipped with 20 approx. dealers in the country whereas Maruti’s number doesn’t count. So these have a direct impact on the after sales services. Spares: Maruti being very old brand the spares cost less than any other brand available in India. Resale Value: Maruti of course! Lastly if we talk about VFM, Swift’s wins the game but one thing, it is now very common on the roads. It’s one need to decide what match his or her requirements. I own a Maruti Swift VDi. I am very much satisfied with it's performance except the leg space. I am getting 17.6Kmpl(Diesel) in Bangalore! I have never seen a Micra, will post my comments soon. I think Nissan cars will be best because of it's look and fuel efficiency and stylish models. Your review about Nissan micra is informative. It is really great work. Thanks for sharing your experience with us. I have Nissan . I bought it in 2006. Nissan has good combination for space and power. It has high quality driving, good mileage, interior and exterior looks good. We really enjoyed driving this car .